Enjoy an amazing travel experience with opportunities to discover the beauty and history of the world in which we live. We offer educationally oriented travel that combines discovery, learning and adventure. Come join us at our free informational sessions to obtain detailed itineraries, ask questions and meet fellow travelers. 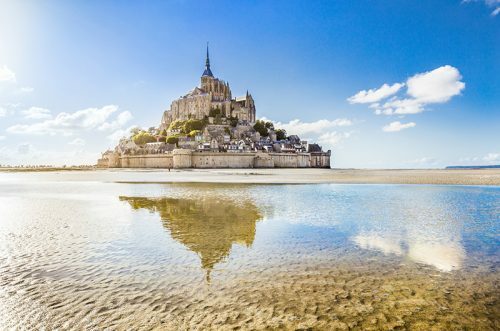 Bask in the rich culture and romance of fascinating France on a tour that explores captivating Paris, picturesque Provence, historic Normandy and breathtaking Le Mont St. Michel. Delight in a 2-night stay in a stunning, renovated French abbey in the UNESCO World Heritage Loire Valley. Relish a tour of two of the Loire Valley’s most famous castles – Château du Chenonceau and Château du Clos Luce. Sip wine during a tour of a well-known winery in the medieval town of Chinon. Visit the gastronomical capital of France, the city of Lyon, and dine at a traditional bouchon. Come to know the enchanting medieval walled city of Avignon during a walking tour and visit to the 14th-century papal palace. Exciting experiences like a spectacular evening river cruise on the Seine bring to life the joie de vivre of this fabulous country. See detailed information from all trips in 2019.